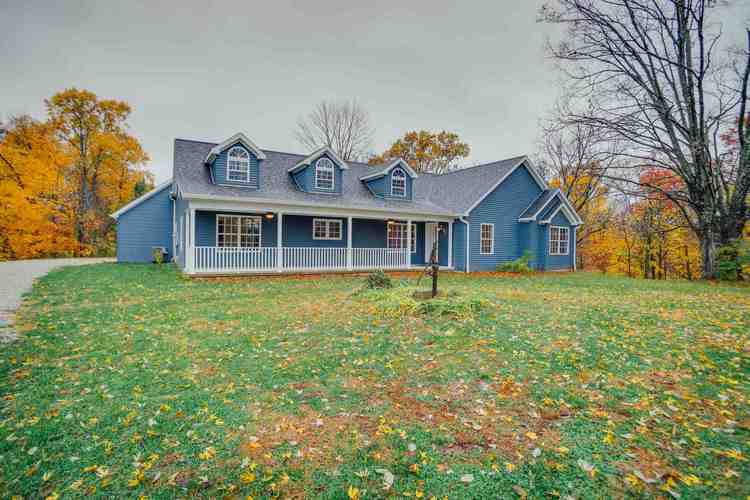 Why build when you can purchase this gorgeous home built in 2016 and the 15 acres that go with it for only $299,000? With one of the most gorgeous parcels of land in Lawrence County and a basically new construction home, this is THE best value you will find on the market right now, and it will NOT last long! Oh, and the proximity of the property to Highway 37 makes for an easy commute to any location. This 3 bedroom 2 bath home has nearly 2,400 finished sqft on the main level, and an additional roughly 1,600 unfinished sqft upstairs. The possibilities with this space are endless. Do you need more bedrooms? The upstairs would be perfect for that. There is even an outside entrance upstairs, so you have the possibility of adding an income generating apartment. Let's talk about the land for a second. This property has rock formations, CAVES, creeks, steep hills, and plenty of wildlife. It is absolutely gorgeous! Call to schedule your showing if you want to know more and see more before it's too late! Disclaimer: Red property lines on photos are not guaranteed accurate, but just to give you a general idea. Directions:From Highway 37 S, Turn Right onto Pumphouse Rd (across from Arby's), First driveway on the Right, Stay Left to continue to the house. Listing provided courtesy of LAWCO LIVING , LLC.